We’ve all gone a bit ramen mad. Myself included. So it should be no surprise that I find myself at Ramen Ikkyu like the rest of the other mad hatters. 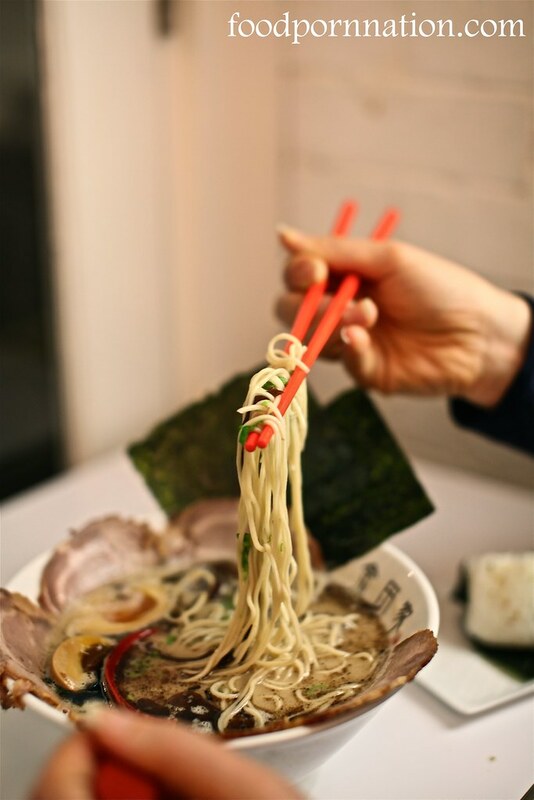 There has been a lot of hype surrounding this place with us ramenites counting down the days until its launch, ready to dive in and test the waters. It is now 4 weeks since its opening day and the aim of the game is to sell 150 bowls of ramen a day. If they sell out then they shut up shop. No matter what time of day it is. Noodles are hand made by Chef Haru himself and are aged for 2 days. Hurrahh… While their signature broth is prepared in 160 litre pots filled with chicken and pork bones – referred to as their paitan broth. 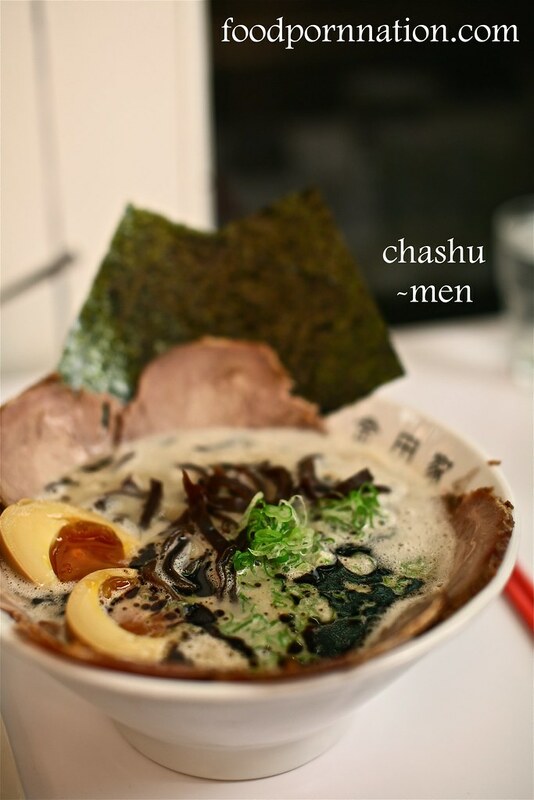 To back track, Chef Haru Inukai started serving ramen as a lunch special back when he was the Head Chef of BlancHaru. The ramen special was so popular it caught on to the likes of fellow ramen lover Chef Dan Hong who notably sung its praises. It was no sooner that the public caught on to the cult of BlancHaru’s ramen that there were lines forging its way down Elizabeth Bay Road. It was then Chef Haru decided to give it all up and go all guns blazing to open up his very own ramen house. 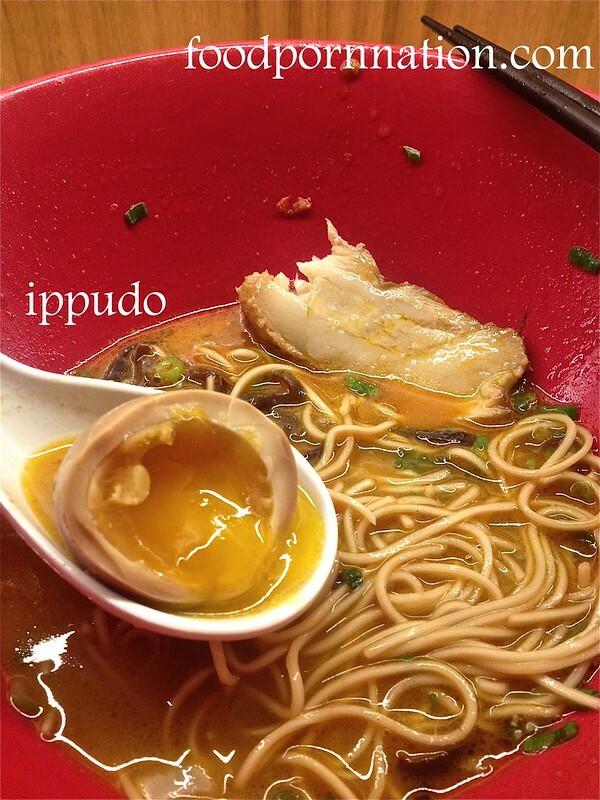 Ippudo has quickly become to what some would consider as legend. Conquering the likes of New York, Hong Kong, Taiwan, Singapore, Seoul, Shanghai. Ippudo has firmly found its place in Sydney’s Westfield. 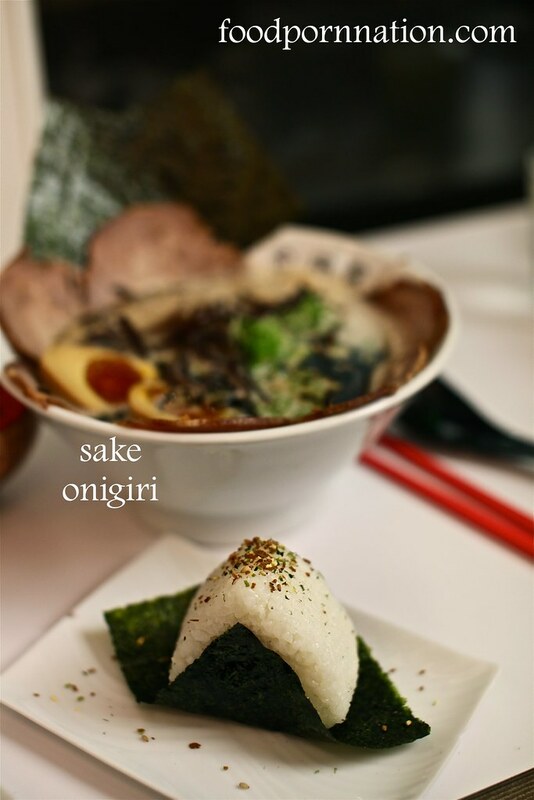 Since its opening it has quickly drawn in the crowds and cult following with its signature ramen and pork buns. You can also specify the firmness of your noodles from “soft, medium or firm”. Which is funny because as a child I loved them soggy but as I have gotten older, I have graduated up to medium and now firm. I love a firm texture! They recommend having it firm but I wonder, how do you like your ramen? 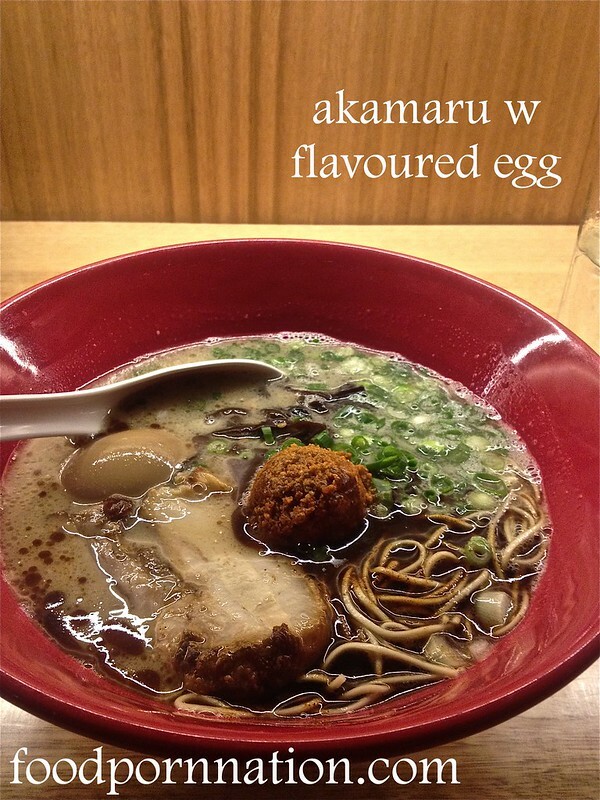 Having tried 2 out of 3 Ramen’s at Ippudo, the Akamaru with flavoured egg ($18) is my absolute favourite. 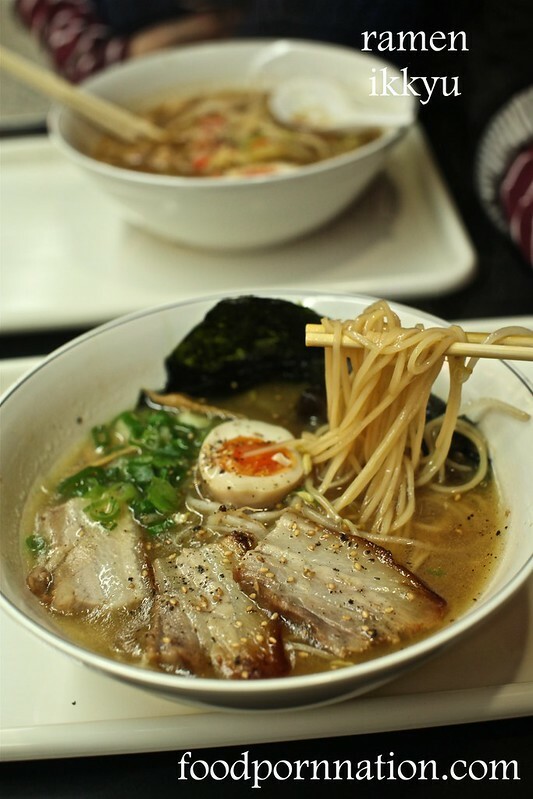 I love the intensity and richness of the broth and every bowl of Ramen always comes down to the broth. The broth comes positively gleaming with richness and flavour. I am so impatient I quickly go in for the dive and I completely immersed in it. It is sensational. I also love the fragrant hints of garlic oil and the option to swirl the miso paste into your broth. To do so, lifts the broth to the highest order. My ramen is firm, adding texture and bite contrasting nicely with the fork tender pork belly that melts. The addition of flavoured egg is luxuriant, oozing its way out. Soft, rich and plump. The ippudo pork buns ($4) are so delicious, every mouthful is just as delicious as the next. 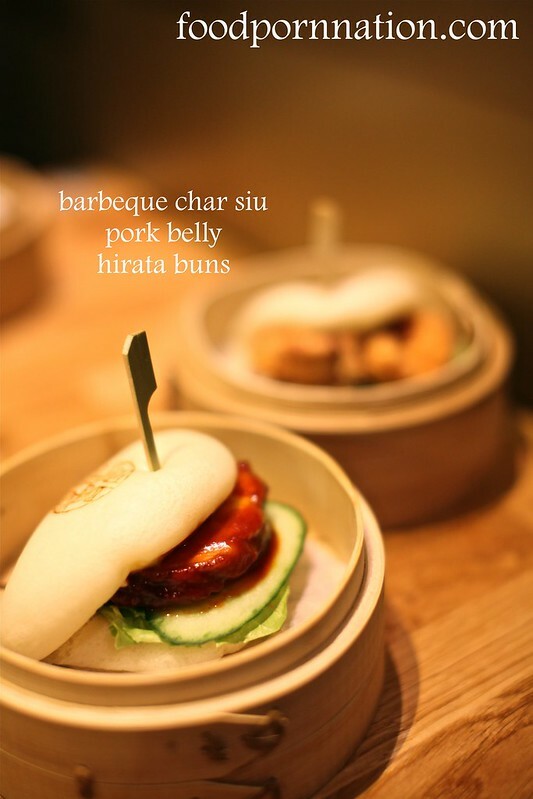 The buns are super soft, the pork is spicy, fatty and tender. Setting itself apart from the creaminess of Japanese kewpie mayo and crisp lettuce leaves. 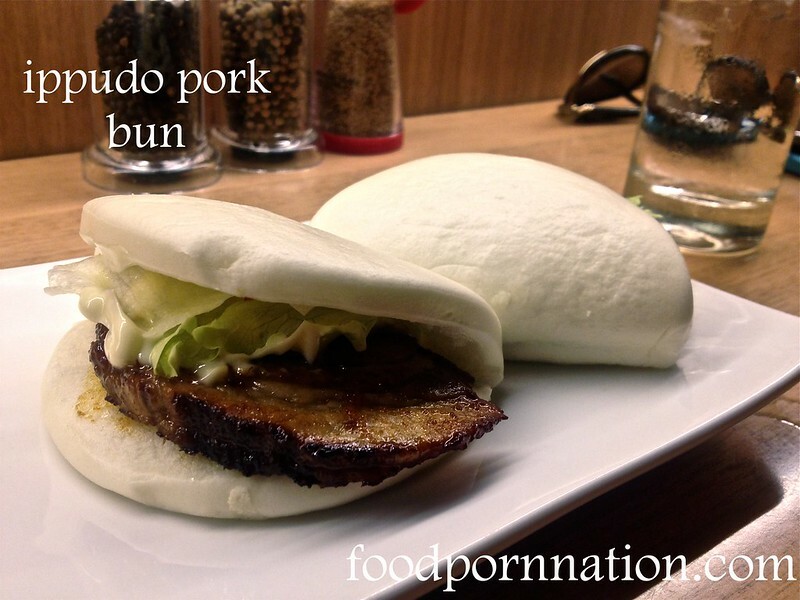 Reminds me a lot of the famous Momofuku pork buns.